“Remember this: Whoever turns a SINNER from the error of his way will save him from death and cover over a multitude of sins.” ( James 5:20) Let us keep on reaching out to the Losts and save their souls ! The International Church situated at the very heart of Puerto Banus, (the hang out of the rich and famous in Spain) will host our Summer Campaign in August. Last April 9-12 the team held a retreat in Malaga and our stay opened many doors of opportunities. Ptr. Kurt accepted our proposal to set up and host the MOVIDA festival this summer. 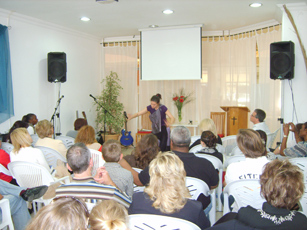 He offered his church building to be the center of all our evangelistic activities. Ptr. Enrique, the youth pastor of the first Baptist Church in Marbella expressed his desire to collaborate along with his youths.. Ptra. Aurora of the Global Outreach Fellowship committed to accomodate some of the participants and will feature their prominent church choir during the festival. Rey´s desire to give a treat to ART COMPANY having such a wonderful and productive time together during the retreat was granted with such a wonderful family who opened up their home to accommodate the team. 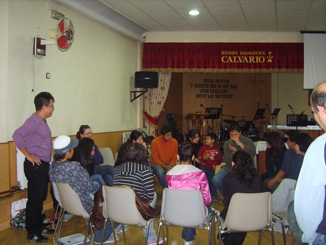 Praise God for the confirmation of the participation of churches for this summer´s activity. Please pray for the divine healing of the son of Ptr. Kurt who is sick of cancer. And for the mission house in Malaga being set up by Tom & La Vern who is considering to be part of the FIRE VISION ministry. Envisioning to reach the community with the Gospel, Emilio (one of the Church leaders) approached Rey for the possibility of forming their own evangelistic team. So last April 12 , representatives from the various church ministry departments attended the creative arts workshop that ART Company conducted. “UNA NOCHE INOLVIDABLE” Festival is now being set up. Please pray for the success of this project so as to create an impact of Christian witness in the community, to overcome all the obstacles and to see a breakthrough in the lives of the church people´s involvement in evangelism. Vivs hospitality gift allowed her to bless Bert & Delia (a filipino missionary couple in their 70s ministering to the Muslims in the South of the Philippines) during their recent visit to us. 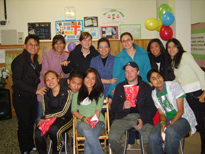 Ptr Bert´s desire was to trace his family roots in Toledo, Spain. We had to go from one center to another to find the registry office and Praise the Lord, his desire was fulfilled as we were directed to the ARCHIVO MUNICIPAL of Toledo, he discovered his Spanish roots. 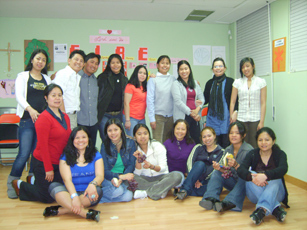 CHABE (16 yrs.old): FIRE Vision allowed me to see my role in reaching the youths and kids here in Spain. They need light in this dark generation and I would like to shine forth so they may know Jesus the Light of the world through me. VERONICA (Associate Pastor of the New Life Christian Fellowship): FIRE Vision is the fulfilment of my desire and other church leaders as well. Through the course, I am much more prepared to do the perfect will of God serving Him through my unique talent and giftings. Now I am totally convinced that I am doing what I am called to do. MA. 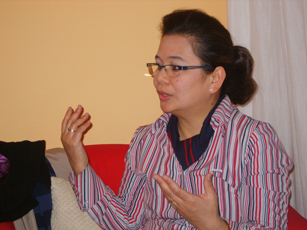 MAGDALEN (Newly integrated church member): To die to one´s selfish ambition seems impossible but now I realized its God who changed me and that includes my ambitions. So now, I am much more committed to God and know that He called me for a specific purpose. The first project I have is to give my house built in my home town in the Philippines to be a church since there is no evangelical testimony there. FAITHFUL IGNITERS REACHING EUROPE VISION … this is the essence of this vision, to see faithful Christians standing on their position as God´s steward to be a FAITHFUL AND GOOD STEWARD of our talents, gifts, time, possession, and everything entrusted to us to use them all, literally ALL, absolutely ALL for the extension of God´s kingdom on earth, in this generation, in this city, in this work place, in this circle of friends, in this family where God has given us for HIS HONOR AND GLORY, AMEN! Ps. Daniel is now in his last month in the Bible Seminary and will be back here with us in June. He is excited to move on, passionate to do the will of God preparing for a full time ministry. Lord willing, he is considering to do another year of training to be much more prepared. Please continue praying for our son, He is such a blessing and a joy to us.